See RESULTS FROM PREVIOUS CUSTOMERS. Here at Amazon SEO Consultant we use a simple two-stage process that leverages Amazon’s A9 algorithm to rank products. KWFS (Keyword focused sales) is the process we’ve used to get over 300+ ASINs in Amazon to top-ranking positions in the last 12 months, generating huge ROI’s in the process. On this page we’ll be outlining the results of some of our clients. Here are the results we achieved for a brand new premium supplements brand, built from zero to $55,000/month in sales within 6 months. We generated an 11X ROI within this time. Our method does not involve massive discounts or thousands of free product giveaways. 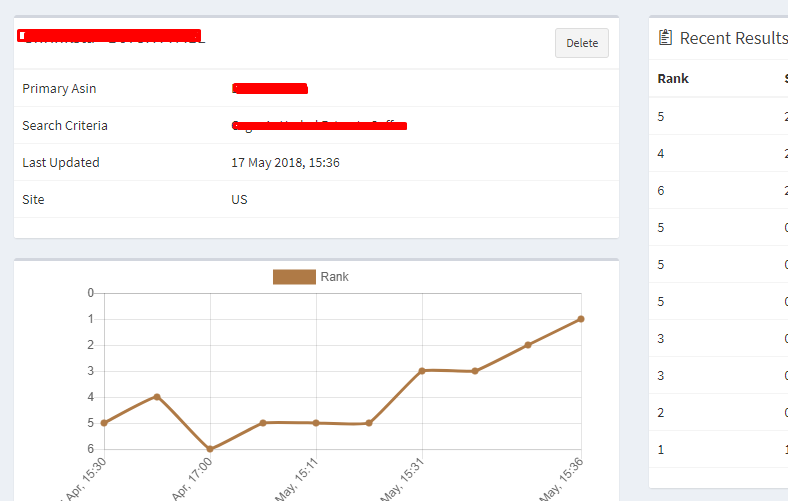 Many Amazon ranking companies use this strategy, believing it to be a useful way to get high traffic in the short term, and hopefully leading to higher ranks which gains more traffic in the longer term. This not only hurts the your pocket when it comes to incoming orders, but has been proven not to work in the long term at all. – It’s also harmful for your brand, giving away dozens or hundreds of free products damages the perceived value of your products. This, on-top of the loss through discounted product giveaways and the lack of ROI makes this strategy extremely expensive and inefficient in the long run. Instead, we use a simple two-stage strategy we developed ourselves through thousands of hours of in-depth research and testing to get proven results. Our page on ranking first in Amazon can tell you more about the A9 algorithm in general and how to make the most of it. 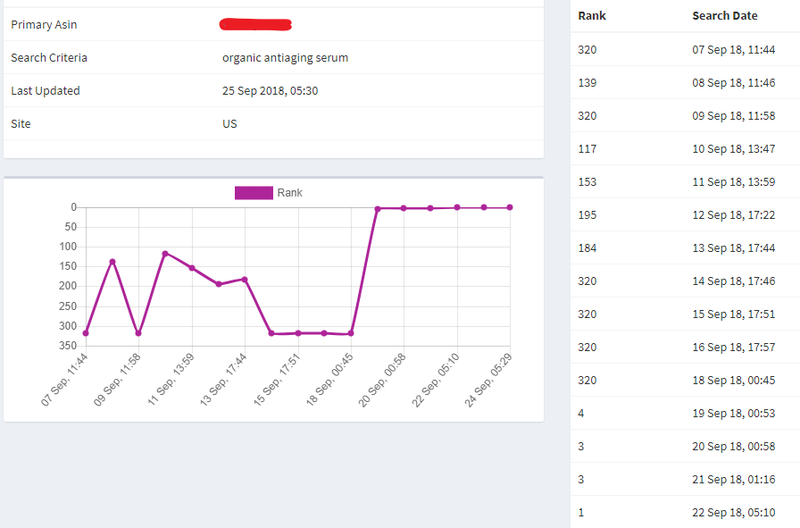 Screenshots featured below are from Keyworx, which is a third party organic rank tracker for Amazon. As you can see, we achieved explosive and fast results for this hair growth supplement product. The screenshot shown displays an increase from zero daily sales to an average of 22 sales per day. 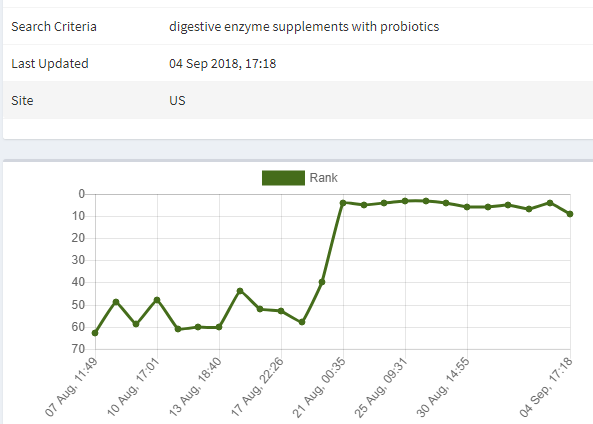 This weight loss supplement had its average total order items increased by 340% in just three months thanks to our specialised keyword focused sales ranking techniques spread across 3 key SKU’s. A successful campaign that has continued to generate further rankings & positive ROI for this specific client. This client approached us to assist them with their new range of products. As you can see from the Amazon seller central sales report below, in a short space of time we turned somewhat unpredictable and unreliable sales into sustainable and rapid growth. Here is another competitive product in the health space that was already doing very good sales volume from ranking 5th for their primary keyword phrase (screenshot right). 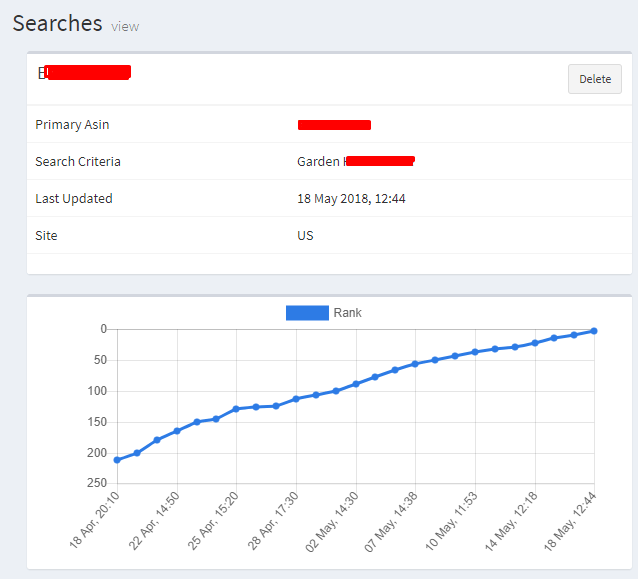 Within a 30 day period with a 100 keyword focused sales campaign, this term managed to hit 1st position for the primary term and increase sales by 78% in the process. This case study comes from 2 separate 75xKWFS campaigns implemented within 2 months of one another. The result of these campaigns ranked a garden based product in the top 3 search results for a very competitive industry leading term. This product now generates over 520+ sales a month, up from around 35 per month. Consequently, this primary keyword can generate anywhere between 15-20 sales per day, around the same amount it was previously achieving every month. With summer approaching in the northern hemisphere, it is guaranteed to raise to well over 30 sales a day. Our next case study features a men’s fashion product with a retail price of $50. A tough campaign in a competitive, relatively saturated men’s fashion category. However, positive results were still generated from our RANK strategy, including a page one ranking and an increase in sales from 3-4 units per day to 18-20 per day. 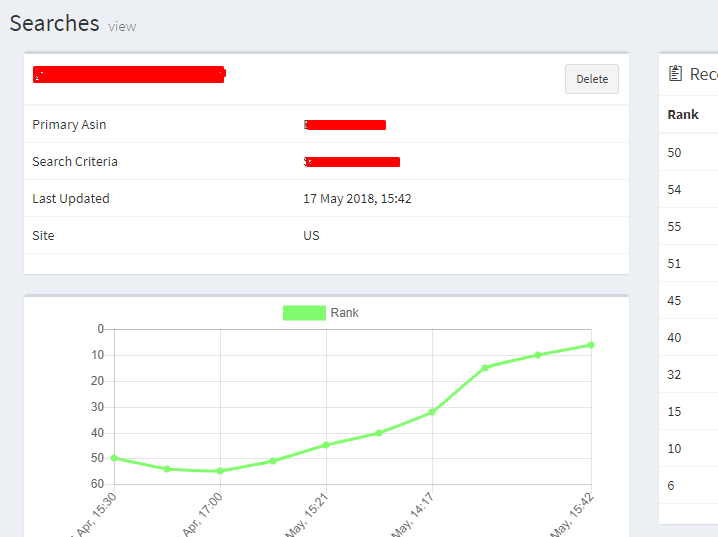 From rank 60 to top 10 rank in just a few days with a high competition product for a longer tail keyword! This shows the impact even smaller numbers of KWFS can have on your organic Amazon rankings. From completely outside of the first 10 pages of Amazon into 1st position, this product instantly got stuck there for the long term. Another example of when smaller volumes of KWFS can still generate extremely good results for low to medium competition keywords.